We physicians with all our training, knowledge and authority often acquire a rather large ego that tends to make it difficult to admit we are wrong. So, here it is. 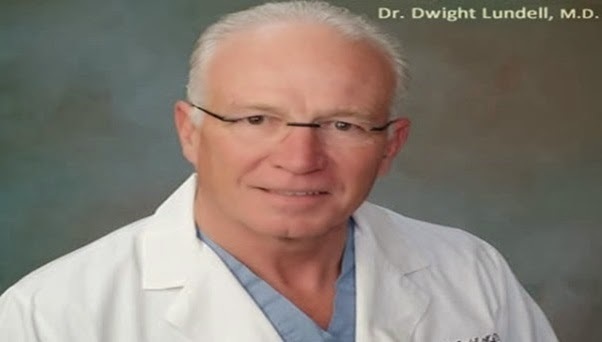 I freely admit to being wrong..
As a heart surgeon with 25 years experience, having performed over 5,000 open-heart surgeries,today is my day to right the wrong with medical and scientific fact. These recommendations are no longer scientifically or morally defensible. The discovery a few years ago that inflammation in the artery wall is the real cause of heart disease is slowly leading to a paradigm shift in how heart disease and other chronic ailments will be treated. The long-established dietary recommendations have created epidemics of obesity and diabetes, the consequences of which dwarf any historical plague in terms of mortality, human suffering and dire economic consequences. Despite the fact that 25% of the population takes expensive statin medications and despite the fact we have reduced the fat content of our diets, more Americans will die this year of heart disease than ever before. Statistics from the American Heart Association show that 75 million Americans currently suffer from heart disease, 20 million have diabetes and 57 million have pre-diabetes. These disorders are affecting younger and younger people in greater numbers every year. What thoughtful person would willfully expose himself repeatedly to foods or other substances that are known to cause injury to the body? Well,smokers perhaps, but at least they made that choice willfully. The rest of us have simply followed the recommended mainstream dietthat is low in fat and high in polyunsaturated fats and carbohydrates, not knowing we were causing repeated injury to our blood vessels. This repeated injury creates chronic inflammation leading to heart disease, stroke, diabetes and obesity. Take a moment to visualize rubbing a stiff brush repeatedly over soft skin until it becomes quite red and nearly bleeding. you kept this up several times a day, every day for five years. If you could tolerate this painful brushing, you would have a bleeding, swollen infected area that became worse with each repeated injury. This is a good way to visualize the inflammatory process that could be going on in your body right now. Regardless of where the inflammatory process occurs, externally or internally, it is the same. I have peered inside thousands upon thousands of arteries. A diseased artery looks as if someone took a brush and scrubbed repeatedly against its wall. Several times a day, every day, the foods we eat create small injuries compounding into more injuries, causing the body to respond continuously and appropriately with inflammation. While we savor the tantalizing taste of a sweet roll, our bodies respond alarmingly as if a foreign invader arrived declaring war.